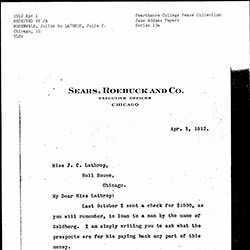 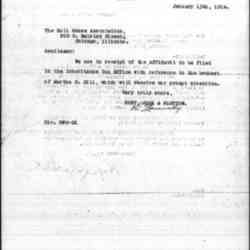 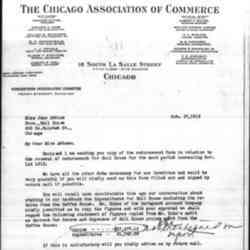 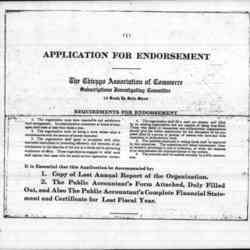 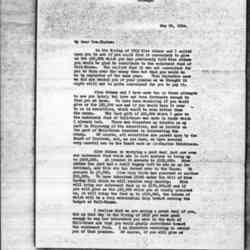 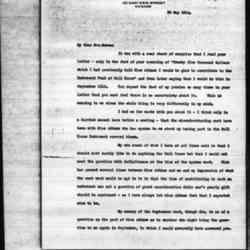 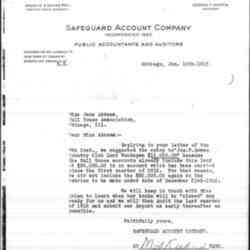 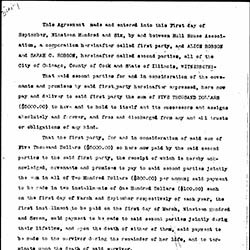 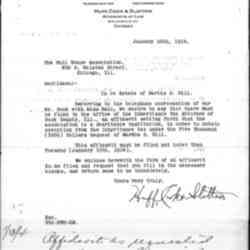 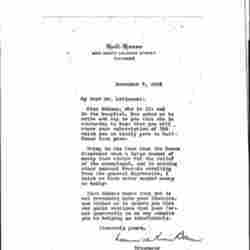 Huff, Cook & Slottow write in regard to legal documents related to the bequest of Martha S. Hill. 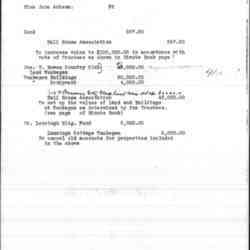 Kuhns clarifies for Addams some financial records about the Joseph T. Bowen Country Club. 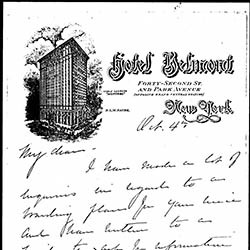 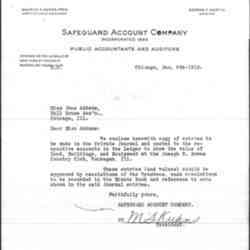 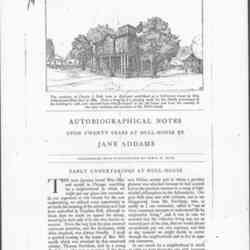 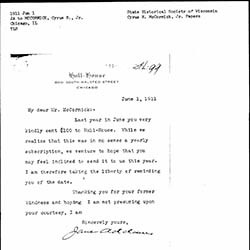 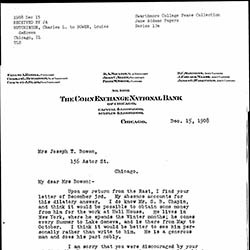 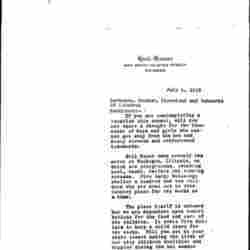 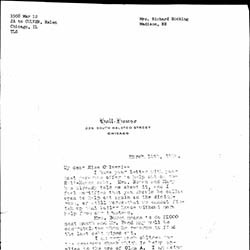 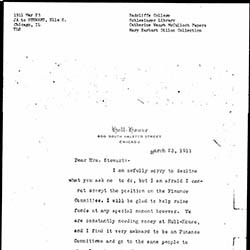 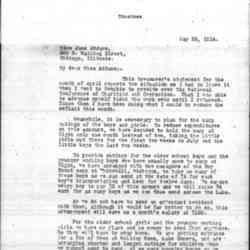 Kuhns sends Addams financial information about the Joseph T. Bowen Country Club for approval of the Hull-House Trustees. 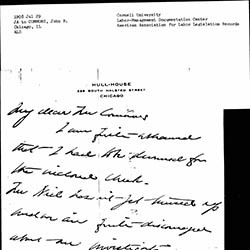 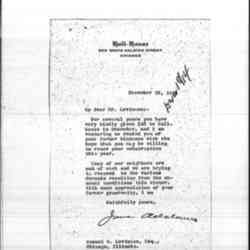 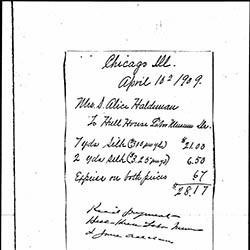 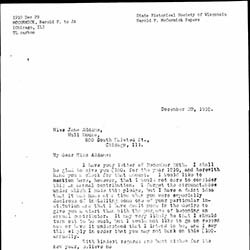 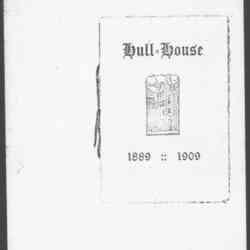 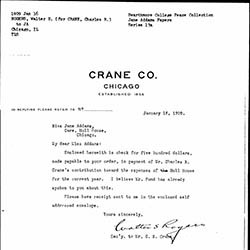 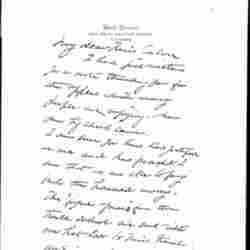 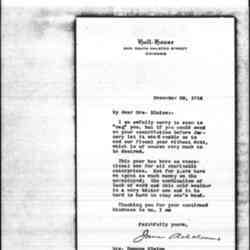 Addams sends Haldeman a receipt for items she purchased for the Hull House Labor Museum. 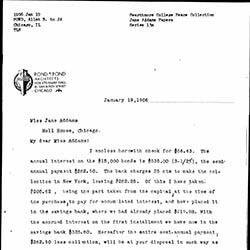 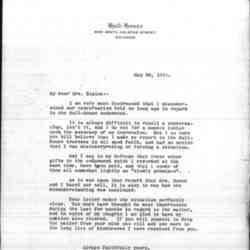 Bowen writes Addams about costs of cleaning and repairs at Hull-House and reports on the health of friends.